Greetings, dear ones, I am Kryon of Magnetic Service. So the time between when I last spoke to you and now doesn’t even exist for me. It is difficult to explain to a linear Human Being what it is like not to have time. All things occur at once, so it’s an odd thing to talk about, for in your minds your future to you is not known and your past cannot be revisited. So to you, your existence is always in the present. However on my side we are in all three realities, but we call it the now. These concepts are only energies, but you assign a 3D time location to each of them. For instance, THE PAST: Past actions in 3D cannot be changed, but the memories of them can. So, therefore, if you rewrite your reaction to something that happened in the past and it changes YOU in the present, then what have you done? You just visited the past and have rewritten it! THE FUTURE: You say your future is not known to you, yet the potentials of what you might do are indeed known. As you change your mind today, in a certain way you are then changing the potentials of what you may do tomorrow. Therefore, rewriting the future is doable today. When you make an appointment to go somewhere tomorrow, does that make you a fortune teller when you arrive at the scheduled event? If you cancel the appointment at the last moment, did you change your future? “Wait a minute, Kryon. These are things we have control over, so it’s not the same as a future that is a mystery to us.” What If I told you that to us, there is no difference. “Appointments” are scheduled and unscheduled in a reality that you can’t easily see in 3D, but they are still potentials you create for yourself. We see it all as one thing, and it helps us to give you the kind of channel we’re going to give you in this transcription. We’re going to call the channel The Three Winds. Much of this information has been given in pieces and parts over many years. However, now we put it together. You’ve heard some of the terminology and we have alluded to it before, and now we wish to lay it all out as a carpet that will contain many answers and perhaps some controversies. Some of these things may not agree with what you might have heard from others, and this is where your divine discernment comes into play, for your intuitive sense should now be used to see if these things I’m going to tell you make sense or not. You can start to use what I would now call spiritual logic. First of all, the Human Being and the Human Being’s soul are seen as one item to us. It is never split up in our reality and is in many places at once. But for your understanding and for this lesson, we have the soul in only four places at once. The three winds are three of the four, and the other place your soul resides is home. That’s where I am, dear ones, and we don’t call it a wind because there is no wind when you’re at home. There is no action for or against, and there is nothing pushing or pulling. It is so difficult, if not impossible, to describe something to you that is so close to you, yet so hidden. Home is not one of the winds, for it is where you always are. A piece of God is in you, yet what it is like to be on my side of the veil will remain hidden as long as you are a Human. It has to, for the test of energy that you are working on as a Human must remain in a certain kind of reality and consciousness for you to exist on the planet and work the puzzle. But there’s no wind when you’re home. Home is the place you are when you are not in one of the winds. Home is your natural “God state”. You’re a piece of the soup of God, which is measured in innumerable parts, yet all is one. The very essence of entanglement [a physics term describing a quantum attribute where things are locked into one reality regardless of distance] are the attributes of God. When you are in touch with your Higher-Self, you are in touch with all the parts of you. Sometimes Humans think that they’re getting messages from angels, and these angels are given messages from other angels, and so on and so forth. Humans see a hierarchy of authority in everything, since it exists in their own reality. But with God, there’s no such thing, for the wisdom of God is a singular wisdom, which is always the same wisdom and is fully present all the time, everywhere. The truth is the truth, and because you have a piece of God in you, you become aware of an absolute truth as you awaken spiritually. This is why you can take an awakened Human Being from another part of the world that is foreign to you, speaking another language that is not yours, and find the same truth. The God inside you is the same as the one inside them. So as we give this lesson, honor your intuition, that part of your mind that discerns using spiritual logic. Some of you may actually have a revelation of what we are speaking of as we discuss the Three Winds. Human Being, there is nothing more honored within the Human life scenario than the Three Winds. They represent one of the three states that Humans are always in. Two of them are brief and one of them is long. There is the Wind of Birth, the Wind of Existence, and the Wind of Transition. In your words, you would say birth, life, and death. We don’t use those words since they are biased to a 3D reality, which often is your only view of the truth. The Wind of Birth is different from the actual physical event that you call birth. For us, the Wind of Birth is you right before you enter (taking your first breath). In each “wind”, we’re going to start by dismissing the fallacies and giving you the truth. So let us discuss as much as we are able and start with the energy at the Wind of Birth. Imagine yourself as a piece of the whole, a part of the love element of the Universe, and a part of the wisdom of God. You’re ready to go back to your planet, but you do not have the mind of a Human. What is involved? What energies spin around it that get you to this place? Who is able to be in the Wind of Birth and is there a system? These things are difficult to describe, for they are not linear. Understand that you are aware of only linear things, since it is your reality. Your 3D reality as you sit there reading is only aware of one solitary life on Earth. But in this quantum Wind of Birth, we are seeing you standing at the precipice of another reality, returning to the planet after many lifetimes [speaking to old souls now]. So as you stand there, you are about to reconnect as a Human Being into the planet’s energy in a certain way. The “wind” of the 3D reality you are about to step into blows against you with great force. You seem to “lean into it” as we make our final love words to you. You are about to disconnect from the reality of Spirit, willingly give away your memory of all that is, and return to Earth yet again. What a beautiful time! What are the attributes or “rules” of this as you connect again to humanity? First, let me tell you what they’re not, for so much of this is misunderstood. The first thing you should know is that the Human Being is absolutely unique. 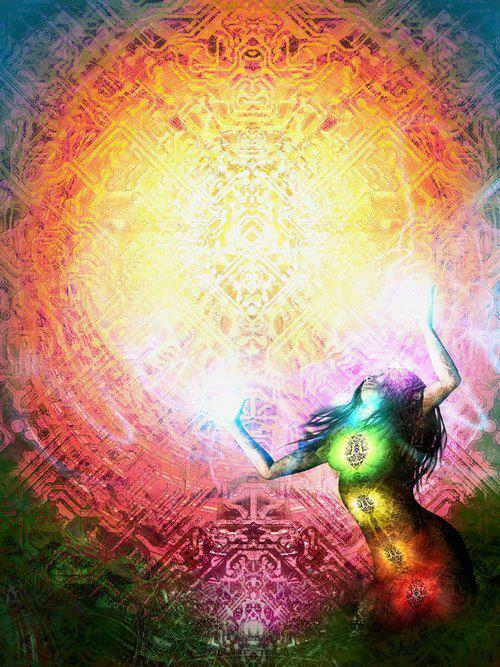 On this planet of the coming and going of sacred souls, Humans all have a divine part that we call the Higher-Self. All 3D Human DNA structure and the potentials within are identical. The only thing that differentiates one from the other are within the quantum DNA portions – the energy of the Akashic Record. The Akashic Record holds within it the ability and potential for enormous energy, depending upon what the Human has done in past lives. If the Human has awakened to spiritual potential before, then there is more energy than if they had not. Therefore, the potential creation of an enlightened old soul is literally available at the Wind of Birth, for it’s about prior knowledge and experience and what you’ve done before on the planet. It’s about who you were, what you have accomplished, and if you ever awakened to the workings of the light puzzle before or not, if you are returning or if it’s the first time. So the Akashic Record is not just a record of how many times you’ve been here, but rather how much spiritual knowledge and life experience you have awakened to through all your planetary experience. The Akash is a sacred library that you pick up and hold through each lifetime and then into the next. You add to it every time you come and go on the planet, and it helps to develop and alter what your next life may be about. Remember the axiom we have given in the past: You will never have to return to a less-aware state. Once you open the metaphor of the “spiritual Akashic jar”, all spiritual learning is available from all lifetimes, all accomplished learning. The Human Being’s soul is a piece of God and is unique on the planet. However, biologically, the Human is not an animal of Earth. In fact, your unique Human chemistry proves it, since you have “fused DNA” that creates the 23 chromosome separation from the rest of Earth biology. You did NOT evolve from Earth! The Human species as you see it today is not the Human species of 200,000 years ago. So the first realization for you is that your entire corporeal existence is not as “an animal of your planet”, despite what biologists will tell you. There was help along the way with an “awakening to light and dark” within your DNA. Even the most basic of religions tell you about this event as the divine “creation story” common to all humanity. The Human you are today is unique to the Universe and has amazing creative powers, just as the masters of the earth all told you. Animals have their own kinds of energies, and even some of them have their own kinds of animal soul-groups. Animals are on the planet for several reasons, and we’ve told you all this before. However, all of them are on the planet as part of the balance of Gaia, and many as friends to Humans. They hold the energy of life for Earth, and sometimes they are here to love. Certain kinds of animals have animal souls and incarnate within their own groups, but always in service to humanity. Their own soul groups come back as animals – only animals. They do not cross the soul barrier into a Higher-Self being. Animals do not graduate into Human Beings. But it is very easy for Humans to think they do, because this is the way Human thought has always worked for you. In your opinion, you graduate into higher levels and then you become better. Therefore, those who would look at the scheme of life would probably say, “A soul starts as an animal and then works its way up to become Human.” However, this is not the case and never was, dear one. A Human Being has a beautiful Higher-Self, which is the core soul of God energy. The puzzle during your life is about how much of this truth of being part of the creator you can accept. How far can you open the quantum door to see this truth when you are alive? This single attribute determines how enlightened you become during life. Listen: It’s not how much knowledge and experience in is your Akash, but how much you allow yourself to believe it. There are many old souls on this planet who have an amazing amount of spiritual learning, yet they don’t want to touch that “spiritual jar” within them at this point in their lives. This is the free choice of the Human Being we speak about. There is immense planning that puts you at the Wind of Birth. What did you accomplish during the last lives, if anything? Who were you and what did you do? What energies did you start that were not complete that you wish to continue? What soul group were you in? Who were your parents? Are you in certain soul agreements to become their grandchildren? That is more common than you think! There are so many things that go into the planning of the “entry energy” of your life, and each life potential is different and unique. The planning is done by you when you have “the mind of God” on my side of the veil. Humans don’t like the fact that there is no generic spiritual instruction manual that states, “Here is what happens and here is what to do.” Listen, dear ones, humanity is honored way above that! Are all your children the same? Do books on how to raise children always work for your child? The answer is no, because each soul is totally unique. But Humans still wish to have a list of things to do and not to do, as though each soul somehow came out of a spiritual machine that made them all the same. No. Instead, Spirit honors each soul with unique choice and a tremendous variety of energy selections. There are certain attributes that Humans receive on the planet, and we’ll call them creative attributes. These are almost quantum attributes that may take several lifetimes to complete. What often happens to these creatives is that they go through a series of lifetimes as though it were one in order to have completion of their creative cycle. Famous artists will come back, and the first thing they want to do is pick up a brush and continue what they did before. Famous composers, famous poets and sculptors will come back and simply keep going! It’s so obvious, yet you deny this in your scientific way. So the creatives are different from the others, and their puzzle is to bring the planet the greatest treasures of art through a unified series of lives, yet personally they try to sort out the puzzle of “what they carry inside is valuable, but nobody knows it”. If you’ve noticed, most of the great artists who have even lived and are here today carry a burden that is easily identified as “lack of self-worth”. Do you see the set-up? It’s ripe for personal discovery, isn’t it? So can you see the Human standing in the Wind of Birth, ready to continue what they only began last time? With the “mind of God”, there is a smile on their face as they hear the music that they will compose, for it’s with them when they arrive. As you stand at the Wind of Birth, you are completely and totally a unique creature with incomplete energies. It takes more than one short earthly life to create Human attributes that grow into maturity. Even non-creatives (most of you) have a lineage of starting something that never got fully completed. Sometimes it’s within relationships. Sometimes it’s learning or teachings. Old souls are good at this coming and going and often pick up where they leave off as they slowly change the planet by their very presence upon it. The old soul is, “Sewing the seeds of light on the carpet of linear time, not even knowing that he will also be harvesting those exact mature plants of wisdom as he returns in a subsequent life.” Therefore, dear one, you don’t arrive with a blank slate, but you have to know that, don’t you? The old soul feels it. The only ones who arrive with a completely blank slate are the newbies [first timers] and we’ll talk about that in the next wind. But this is a room of old souls who are hearing and reading right now. Each of you is here with a spiritual jar that is filled with the experience of living on Earth, and sometimes even the attribute of “awakening to your own mastery”. There are those who can read your Akash. But unlike a linear file cabinet, they can’t read the lifetime in some linear way. Instead, they’ll be the energetic lives that stick out, the ones that have a profundity about them for you. These are the lives where you accomplished things, or perhaps even worse, you didn’t. There are the lives where dramatic things happened such as early death, loss of children, or battlefield experiences. It’s all based on energy and potentials. You’ll hear that again, since it’s important. You are standing at the Wind of Birth and you’re about to come back to the planet. Laid upon you are all the potentials and possibilities based on your past experience and the imprint of “who you are.” You’re coming back as part of the spiritual family of Earth, which is what your soul group does. Where will you be? What gender? The most difficult thing for me to describe to you is that the planning is not linear and it is not something that you would see on a logical financial spreadsheet. It’s energy based and very often influenced by others. It’s, therefore, also family based. If you have awakened to spiritual truth in a past life, there is strong potential it will greatly change the next life. So an old soul will go to another place that perhaps a young soul would not go. All of this is in the planning before the Wind of Birth, and you’re ready for it. You really are. Listen: No Human soul comes to the planet unwillingly or as punishment. Perhaps you should memorize that statement! Old soul, right before you come back into the planet, the energy is completely different at the Wind of Birth because of what has happened in the last 20 years. In this new energy past 2013, the old soul who is coming back with that spiritual library filled with spiritual purpose is comfortable with this process. He intuitively remembers very fully what he has been through. Did you hear that? This is different than the last time! This is a result of everything that has happened in these last years. You have changed the rules! The old soul is not going to be subject to some of the energies that push and pull a younger soul. The old soul has made up his or her mind as part of the planning about what they are going to do that they could not do before within an older energy. This is only possible since they can now plan on having the spiritual jar intuitively open early in the new life. The old soul may even know this now and plan for this before the end of his/her current life, intuitively knowing about the next life during the current life. This is the difference, dear ones. It’s the beginning of “intuitive spiritual logic”. We’ve told you in previous channels about some of the interesting differences between new Humans and ones like you, who have been born into an older energy. 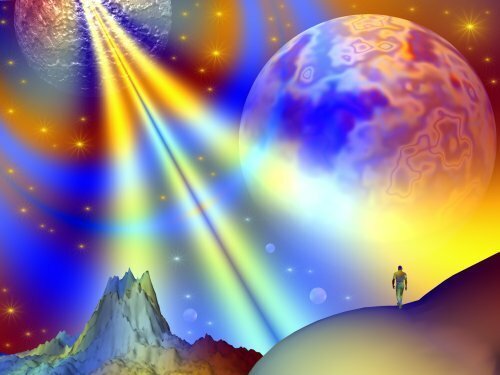 We’ve told you that the quantum DNA alterations that you have created by living many lifetimes of awakening to enlightenment and knowledge will now allow you to be a very different child in your next life. It will be a child who remembers how to read instead of one who is taught how to read; a child who can walk earlier and talk earlier, because he remembers how. This is because the bridge in the DNA is starting to be complete between what was and what is. What this means is that the DNA is starting to quantumly change into its original state of being, which is that of being far more efficient. You will see it first in the children and, dear ones, don’t expect to see it in a microscope. Instead, you will have to eventually ask a sociologist to prove any of this, for it will be seen first as a change in Human behavior. Therefore, old souls will come in as Humans who will not need to start over and be taught everything from scratch, but instead will arrive with a full load of intuitive past-life experience. As their brains develop, they may even remember who they are [old souls who have been here before]. This is the promise of the new energy, especially after 2013. You’re going to see changes in some of your children and grandchildren as they arrive and grow up. The stigma of a planet that is going to be destroyed by war or by God will not be among the energies of the new ones. The promise of a planet going into new, unchartered areas of quantum discovery will be upon them. They’ll need a whole new set of tools. Who Has Gone Through This? Oh, you have all participated in this wind. Everyone in the room has participated in this. You stood there knowing what the life lessons were and the potentials of what was next due to what had happened in previous lives. These were not mistakes, dear ones. These were the results of potentials and plans you made for your own soul. There is no newbie here in this room [to be explained]. Not all of you listening and reading, however, are old souls in the classic sense – souls who have been here hundreds of times. But you have been here before, so this counts as one who has walked through the process many times. It’s what makes you interested in this material. Did you think of that? There is great variety, however, in the understanding of this knowledge among you. It is absorbed very differently between you. Some will sleep through it and others will be spiritually awakened by it [Kryon smile]. It depends on where you are on the path you planned. Again, each path is unique. We arrive now at the Wind of Existence. This is what you call life. Let us give you the attributes. First, no matter what you have been told by spiritual authority, you are not here as punishment. You’re not here to be tested. Sometimes we call your life a test, but it’s a test of energy, not of you! Gaia then measures the energy of the planet and passes the results to the very fabric of time and existence – to the Great Central Sun. It’s the measurement of the vibration of the earth via the Crystalline Grid, which plays a part in a much larger scenario that we have not discussed much. Therefore, the test is whether Humans can change that earth measurement by their consciousness. That’s the test. Again, Humans are not here to be tested, but rather you’re here as family. The bridge between the Wind of Birth and the Wind of Existence is not subtle. It’s where you remove everything you know about the truth and come in with it blocked out. When you step into that Wind of Birth, you’re no longer aware that you are a piece of the Universe. There is no longer the connection to the consciousness of God itself. You don’t remember where you came from or what you’ve been through. The newer energy now has you awaken to intuitive potentials of remembering these truths. They are in your Akash, but available only through intent. As we have indicated, some old souls don’t necessarily awaken at all! Sometimes an old soul who has had a very difficult and profound previous lifetime will soar through this current life as a vacation from spiritual things and never claim they are interested. But, dear ones, you know who they are when you meet them and you can see it in their eyes. Some of you have even married them! They may not be here at a meeting like this either, but it’s the energy of this very thing that attracted you originally. Dear ones, you have to understand the uniqueness of life. It’s why we say there are no rules that state that you somehow must awaken to help the planet or that you have to send light while you are here. There simply are no have tos because the system is complex with variety. This time around, some are simply here to hold the energy of who they are and where they are. The next time around they will do the work, but for now they just hold a place. Some of you have had these very attributes and it’s necessary and needed on the planet. Like a spiritual relay race, some carry the baton swiftly and some sit and watch, but all are part of the event. Some old souls are simply holding the energy, unaware of any metaphysical journey at all. So this would be like old soul recalibration or rejuvenation. However, some of you might say, “I’m not certain I like that. It seems like a waste of an old soul’s life – of 80 years or more!” Dear ones, is it a waste of three weeks when you go on vacation? No. You often come back rested and ready to work! It’s complex and you look at things in the light of “a lifetime”. But for us, it’s simply a passing day. It’s all about timing. So don’t make up your mind what is working and what is not based on your “lifetime clock”. Old souls will have the greatest impact on the planet in the new energy. The ones who have been here the most often will know better what to do than ever before about the conditions they find when they arrive. NEW: The newbies are always arriving. They have to, because the planet has a geometric expansion [population growth] rate. So logically, do you understand that there are new souls arriving all the time? It’s obvious. But you can recognize a newbie in a minute when you start talking to them. You say A and they hear B. You’ll ask them to go left and they’ll walk right. They’ll have no idea about anything, how anything works between Humans. They don’t really understand if a thing is good or bad. Appropriateness of behavior is a mystery – and it often shows. They don’t know how life works in general. You will slap your head in amazement because you can’t believe anybody could be that way! They’re new. They don’t know about Human nature. They’re the ones who can be easily tricked by another Human Being who wants to trick them. Again, you will slap your head and think, “Did they just arrive?” Yes, they did. They are naïve to the max in all directions and you’ve seen them. Each of them will have to come back a number of times before they start understanding the whole process of how life works, so there’s always quite a number of them. They are not about to be in a meeting like this and are better off being in a meeting that teaches “how Humans work”. Many of them wind up on the psychologist’s couch to discover more about themselves and, oddly enough, many even end up being psychologists themselves! This is because Human nature is such a vast mystery to be solved by them that they are fully aware how much they needed help, so they become the helpers of other newbies. LEARNING: Within a few lifetimes, many arrive at a certain state where there is an intuitive awareness of how things work on the planet. There is a better emotional balance and then that Human is a learner. Spiritual knowledge can start to be collected. Learners are an obvious category. These are the ones who are the potential awakeners, for these are the ones who have the potential to come to a place like this, hear the truth, recognize it or not, and leave. If they don’t feel it’s something they relate to, it just means the timing isn’t right. Again, remember the axiom about returning to a less-aware state? You can’t. So even if you don’t agree with something or act on something today, it doesn’t mean you forget it. Today’s foolishness can become tomorrow’s wisdom. It just depends on your perception. Timing is everything. My partner has asked many times, “Kryon, why did I have to awaken to the truth in the middle of my 40s? It would have been so much more efficient if it had been in my 30s!” The answer I have given is all about timing. It’s about placing him at the age he needs to be in order to do what he does now, and also what he’s going to do next. I’ll get to that. And so, dear ones, those who sit in the chairs in front of me and who are reading are all in the learning category. These are often the older souls and the ones who have awakened to spiritual questions. They sense what is happening on the planet and want to know more. They have a new awareness that the energy is changing and that the earth needs them. They also know that each path is different, so they are sitting in this room now or reading this transcription with that in mind. This is the way it works, old soul. Some of you have awakened to the spiritual truth of the “Creator inside” many times. Your library is thick with spiritual purpose. Some of you have just awakened in this lifetime and realized you’re an old soul. So since you are all here listening and reading, I give you a diversion. It’s a complexity you didn’t expect and one for the new energy. This may be complex, but some of you are ready for it. This idea is intuitive to some here, for it’s spiritual logic. I mention this only briefly, since I have given it before and it needs to be included to make the winds explanation as complete as possible. As I have told you, inside of you there is a library of the Akash. That is to say that there is a truth that you can pull from that is universal. But in a very linear way, you also understand that you can only have in your Akashic library what you have gleaned from your lives on Earth. True or false? We have spoken of this before in this new year of 2013. The answer is, it depends on how quantum you become. Now, this is very difficult, but now I broach a subject that is completely nonlinear, so listen carefully. If it is true, dear Human Being, that you were seeded by an ascended race from another part of the galaxy [The Pleiadians], that means that you have a piece of their DNA! Everything that they know is in your DNA – and you know where I’m going with this, don’t you? That means that you can awaken to great amounts of truth, but truth that is not based on Earth experience. Instead, it’s there from what they gave you. This goes way beyond what we have taught you about your Akash, and takes it into a spiritual quantum Akash. There will be some who ask, “Well then, we come in with that, right? Even the newbie has that? So why don’t we remember it as well?” The answer is this: In the new energy [past 2013], there will be those who will start to use what we will call “quantum Akashic tools”. Included in these will be the idea of “mining the Akash” [an attribute we have given before] and also the idea of “quantum Akashic inheritance”, which will be the beginning of remembering original galactic ancestor knowledge. This will eventually lead to quantum invention on the planet. As Humans become more quantum in their evolution, they will start to pick up these new tools. It’s DNA related, and we have spoken of it many times. It’s “remembering”. But these things will only begin happening to the oldest souls among you, for it happens only after full realization of “God inside”. How does karma play into all this? The learner, who is the one who gets past the state of just “arriving on Earth”, now has something called karma, and it’s a big energy to work with. So let’s explain what it is. Karma is “unfinished family group energy” that continues from one lifetime to another. It pushes and pulls you around life, and it has nothing to do with predestination. Instead, it has everything to do with predisposition. If you have a lot of karmic energy around you, then you are predisposed to move left or right when certain conditions happen. This is based upon the energies of the past and mostly from Human interaction. We gave you information back in 1993 when Kryon Book One, The End Times, was published. We told you that old souls now have permission to drop the energy of karma and steer their own way through life, co-creating the energy of what they want instead of having to battle the past. We continue to tell you that karma is an old system of learning and that you are now beyond it. Karmic energy is still needed for the learners who are not ready to drop it and need to walk through lessons based upon it. Karma is not available to the newbie [first-timer], since the new soul coming in has no past energy to pull from. By the way, that’s why they are clueless! But by the second or third time around, they start creating their own karma from the energy of ordinary life that then pushes them to do things in the next. Once the old soul has dropped karma, it means that he has severed it completely and the next time around, it won’t be there either. Again, here is a quantum attribute that states that, “what you create within the patterning of your spiritual DNA today stays forever. It does not have to be done again in the next life.” Again, this is not predestination, but know that what you do in this life shapes the next, and in this new energy it is profound, old soul! I want to talk to you about contracts. The very word is misunderstood. Do you feel you have a spiritual contract to do something on Earth? Some of you will arrive on the planet and will think, “I am here doing what I’m supposed to be doing in this city because it is my contract.” So while you are seemingly fulfilling your contract, what do you do when another person comes along with a better offer but you have to move to another city? It might be a spiritual offer, placing you in a far better place to help people. Oh no! Here is a big puzzle. What happens with your spiritual contract? Part of you pulls in the direction of, “I must stay here and do what I came for.” The other part of you is torn with indecision. Finally, you bolster yourself and say, “My contract is that I must stay here and do my work. No matter what, I will fulfill my contract with God.” Let me give you a word to remember – nonsense! Your contract is in invisible ink! Listen, old soul: Every single day of your life has a rewritable spiritual path. Did you know that? This is the essence of co-creation. The only contract you have is to be here, and it is being fulfilled as you read this. So pick up the spiritual pen and write what you need every day. If synchronicity comes along and sweeps you into another area, view it for what it is – it’s what you asked for! Feel the truth of it as it occurs. Go with your intuitive feeling and write a new contract for the day, which can disappear tomorrow as you rewrite it into something even better. Old soul, you’ve never had an opportunity like this before. In this new energy, you can change the Wind of Existence to match what you need. In these next few years, you’ll decide a number of things collectively on this planet. Through very slow attrition of the old energy dying out, you will gain the upper hand. There will be greater integrity and old souls will create it. Sometimes the old souls will be represented in young bodies that are awakening quickly. The very plan of what the earth is about will start to take shape. New alliances of nations will take place. More borders will drop, and governments will start to understand a new principle of unity that has never been seen before on the planet. It will eventually create the seeds for real peace on Earth. Even the Middle East will shift. I’ve said it before: There will be future generations who will look back and identify everything before 2012 as, “The Barbaric Era”. 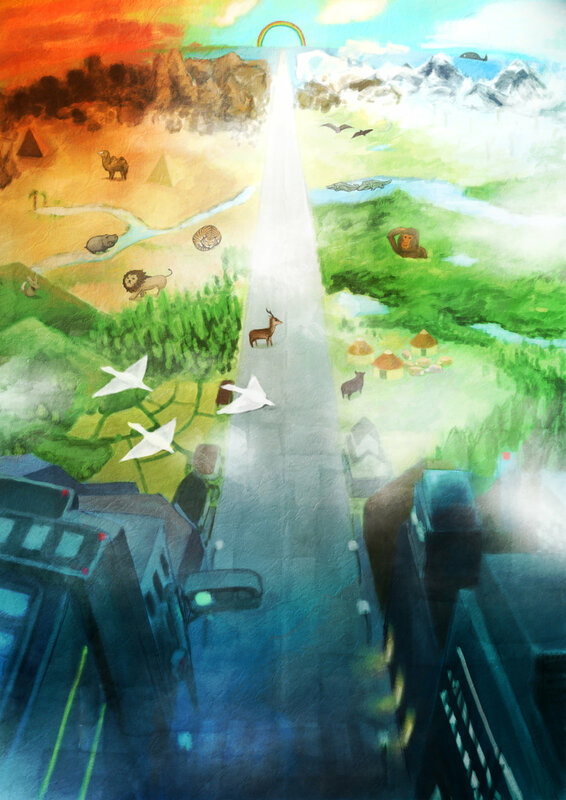 You will see civilization as you know it start in 2013. That is the promise of a real demarcation point coming within three generations. Think about it. Human history has always been about war and conquering. However, you are beginning to turn a corner. As the old energy slowly dies away, survival will be seen as unity and cooperation. It’s already happening on the planet, did you notice? The Wind of Existence is you, working the puzzle, old soul, and you’re not in karma and you’re not in a contract. Instead, you’re in manifestation mode. It may not seem like it, but give it a chance. We’ve said this before: When you start getting out of survival mode and stop worrying about every single thing, you eventually arrive into manifestation mode. The worry mode is what your parents were taught. You inherited it, but it’s not what enlightened beings do. Instead, they manifest what they need and they don’t worry about what they don’t have, for it comes to them when they need it through the process of synchronicity – an enlightened concept that gives credibility to divine wisdom inside. Yes indeed you are connected with KRYON, .. do not worry about the intricacies of the name and do not worry about anything dear child for I come to you with love and devotion, for I come to you with love and understanding, for I am you and you are me and together we shall be always.. What is your questions dear child?…. (the question is about what else could we do in order to facilitate our ascension beyond what we are doing_).. ahh dear child that is a great question that you have brought forth and I will try and give you a most elaborate and yet straight to the point answer. What you as humanity light workers are currently doing is letting go of the past. I will only speak to the light workers at the moment, for the majority of humanity sadly has not yet awakened, but do not worry dear child for there will come a day and there will come a time and there will come a minute and a there will come a moment, that is NOW, that happening within your sphere, when everyone on earth plane will rejoice with love and devotion to each other, and from where I am looking at you, from where we are standing currently, and showing the light, we are seeing that indeed it is true, that such a process has already occurred. For as you already know that everything is indeed in the NOW, we are here in the now and in the present and there is no duality, there is no duality of time and space and matter. I have spoken about this previously before, but I will repeat it here again for those that may have not understood, for what is duality dear child…, what you perceive duality to be is not as it is. For what you believe it is to be, is being in two worlds simultaneously, that is not so, for what duality represents is seeing separation, separation of one being into two, separation of each of you from each other, separation of anything into the dark and into the light. And so we will speak to you about a very important aspect of your ascension.. the none duality approach and the reason it is so important is because, if you do not embrace the idea that duality does not exist… if you believe something to be either black or either white, then you are going to miss out on the most important point in the ascension and in your life and in your understanding of life, for duality does not occur anywhere but in your made up worlds, for it is indeed not as it should be, and then again you may argue with me and say how should it be, or should it not be, aren’t you the one to speak to me about none judgment? And I will say onto you that it is true and it is correct that there is no duality and there is no such thing as “should or should not”, but from our perspective and most importantly from the perspective of YOUR HIGHER SELF of your true soul… the desire of unity is unfolding, the desire for unity and peace and harmony is what is driving you forward, as it should. And so we must explain to you in detail so that you can understand the reason that remaining in duality will stop you from ascending further… the point of ascension for each one of you, is to see that you are connected indeed, undeniably so, and that you are all ONE and the same, and yet so different from each other and that what makes it a wondrous experience for all of you… Duality – Not to judge, and judged be not. Not to be in judgment of anything. To just accept it as is, to accept it as it should be or should not be. And yes you keep asking me over and over again, how then are you saying that there is a dark side and light side. What we are explaining to you is that you should relate to each other, and most importantly to yourselves, for when you are in your day to day state, of mind, and state of being, you go about your day and you put labels and judgment and remain in duality at every moment, for you judge whether or not that color is good, or that colors I bad, or that person is good or that person is bad, and that is remaining in duality. For what we are asking of you is remain in a state of ONENESS dear child, whereby you check to see how you resonate with whatever comes your way, and whereby you do not judge it to be anything negative or positive, but you simply see how you resonate with whatever is being presented before you..
And if you do not resonate with it, ask yourself why is it so, that I do not find that I resonate with it when others do.. You will then know thyself that much better and be able to remove the ingrained insecurities, ingrained misunderstandings, ingrained miss identities that have been placed upon you, by those that are in control of your world presently so. 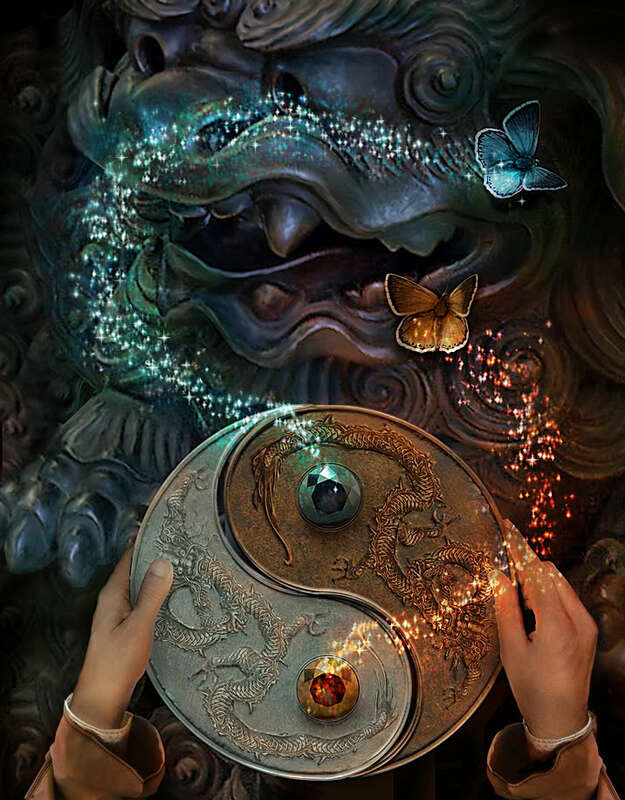 For duality has been created in order to separate you, in order to separate you into various entities, in order to create an illusion of separation, and hence we are here to tell you that it is not indeed so, for you are all connected to one another. And now going back to your question about what you should or should not do. Well dear child, since you are asking this question then you do recognize that there are certain aspect of yourself that are preventing you from moving forward, moving away and through the veil of misconception. And hence we are going to give you a “check list” and of course we are going to begin and say this onto you, that really there is no right or wrong, there is no bad or good, there I no dark o light, although we are going to be referring to dark and light in the future for that is how you are used to understanding the ideas that are going to be presented to you, but in the sometime, in the time of times, when you are no longer in duality we will be able to speak with you face to face candidly so, and you will no longer have these ideas of dark an light, for you will accept all as is, and you will come to understand that there is no light and there is no dark, for its all the same, a unity, for there must be light and there must be dark in order to facilitate life further so..
You are to begin your day with an early meditation, even if you are rushing off to work as many of you are doing, we ask that you remove yourself from your beds a few minutes in advance and walk towards the light, and the dawn of the breaking sun, and as you face towards the morning sun, we ask you to do the sun salutation, yes indeed dear child sun salutations that you are so very well familiar with, for that will set you in a good state of mind for the rest of your earthly day! And hence you are to mediate as well for at least five minutes, that is all that we are asking of you, so that you can get into the state of being in such a state that even if you are not meditating throughout the day you are still connected to the source as you walk around your day and as you walk about your current world and do your current earthly deeds. 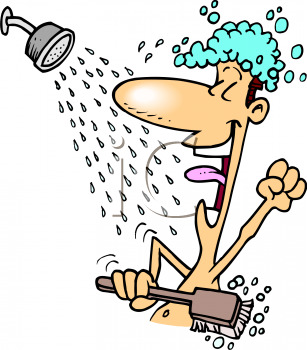 Once you have completed your meditation, we ask you to take a moment and wash your skin, yes indeed it is very important to wash yourself (take a shower) when you get up in the morning for many of you rush around and forget to do such a simple step, and you are wondering why is it so important? We are going to explain it to you this way.. that when you are in your dream state, you are not just sleeping, for your soul is traveling and hence your body is reacting to what you are experiencing in your dreams, and your body is producing various toxins that are then delivered onto the skin, and from there if you do not wash that off, it will be reabsorbed back into your body without you even realizing that it is so, for you are energetically going to be carrying around with you all day the toxins that were produced by your body in response to what you have been dreaming about in dream time. We also ask that you activate your chakraseach and every morning and bask in the light and glory of the Father, and bask in the love and light of the Mother. You are to connect with your crown chakra to the source of all that is, and you are to ask for a blessed day, and you are to set your mind so that you are indeed going to have a day full of love, laughter and joy, and then you are to go on and go about your day, for you have already set yourself into a mood of such a degree that you are then going to walk out of your house and you are then going to influence the others with your set up moods, and expectations. For those of you who are of the emphatic nature, and many of you actually are we ask that you also put a shield of protection around your body, as per Metatrons instructions that have been sent to you over and over again. And from there you may proceed to enjoy your day. The key here is to enjoy, and even if you believe that your day is not going to be so enjoyable you are asked to stake a step to the side and imagine that your day is indeed blessed and joyous. We wish you to understand that NOW is the most important moment of your life, not to look for the future, not to look for the past, but to be, just be, in the moment of now, and even so that it does not resonate with you at the present moment, to understand that is YOU who are in control of changing the vibration so that you can indeed resonate with whatever is in front of you, or should you not wish to remain in the now, should you not wish to remain in the state of the being that you are currently finding yourself, then know this, that you CAN change your vibration, you can change your vibration and you will resonate or move to another state of being. What you are being told about various dimensions is true, however, please understand that although you can go to another dimension what you are looking to do with the ascension is not to move to another dimension but to influence what you are currently experiencing. And to do so, to change your surrounding vibration, and your own, you are first to cleanse yourself, of all the negativity that was ingrained in you by everything around you, cleanse yourself for negative emotions that you perceive to be negative, and in the universe there is the universal law and universal code that you are so very well familiar with that states do unto others as you would want to be done unto you, and hence we are going to use this as an example and say that you can use this in your day to you day interactions with everything around you. We are going to give you a clear example, of the fact that we are not asking you accept everything as is, absolutely not, at all, we are simply asking you to change your perception of reality and when you do so, you will realize and begin to see things you have NOT seen before. That is not to say that they did not exist it simply means that you were able to tune your mind to the items and identities that you are surrounded by… and that is not to say that you are switching dimension, that is to say that you are simply seeing things as they are… as they exist. Let us draw this example for you, imagine that you are able to get a pair of glasses that when you put on, you see the world as it is currently is, with all the dualities and separations and such, but when you take them off, all of a sudden you see a beautiful bright world, with unity, peace and harmony… that is what we are asking you to do, to remove the glasses that are distorting your point of view. We are asking you see things for what they are. And hence, let us draw another example for you and say that perhaps you are not happy in the place of your work, or you are not happy because you are interacting with someone that does not vibrate at your level, of cognitive understanding of life, well in that case we say onto you, that it is up to YOU to change your perspective about the person or an object standing in front for you. 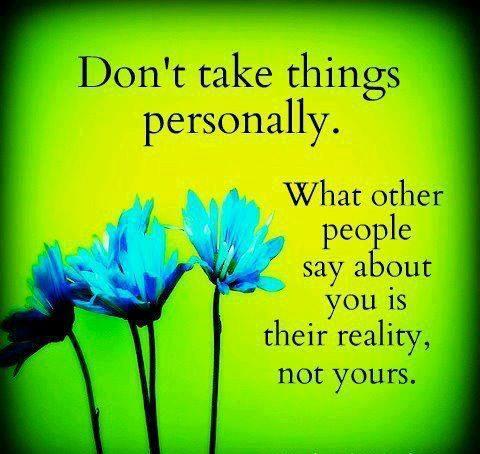 Perhaps you are to see them as they are…. If they are mean to you… understand that it is not you that they are mad at , but themselves, and once you begin to delve into the understanding of WHY certain things are the way that they are.. you are going to begin to cleanse your body and get rid of all the unnecessary triggers within it, so that you can move forward in your own ascension process. Everyone is entitled to their own position and way of life, and it is not up to us to force anything on anyone, and we are only able to assist in helping only because it is important to do so, but just by our own vibration , just by your own understanding that you can change your vibration, you are then going to go on and do so for others, and others still. All of these concepts are not new to you. We are simply reminding you of what you are asking us to remind you off. Each one of you have come into this world knowing everything, you all know everything and anything, you simply need a gentle reminder, and you will be able to open up to your true potential, and so,. 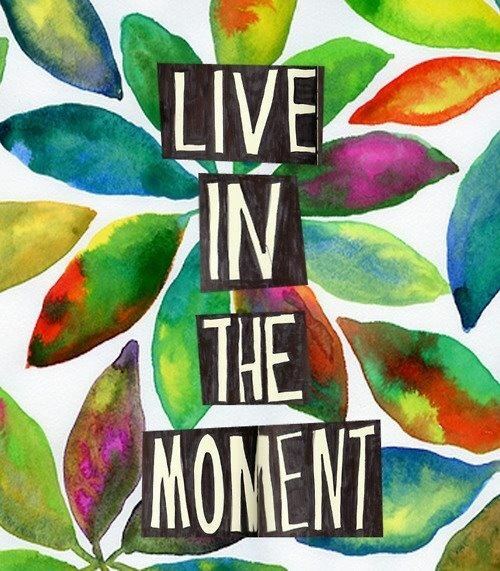 We would like to end today’s discussion and remind each of you, that the point of your process the point of your ascension process is not to rush to DO, anything… but simply to enjoy, to enjoy BEING in the moment,. And everything that we have discussed with you today is simply a way for us to remind you, and to make it easier for you to ENJOY being… for when your mind is constantly racing… how can you enjoy the moment.. and learn from it? 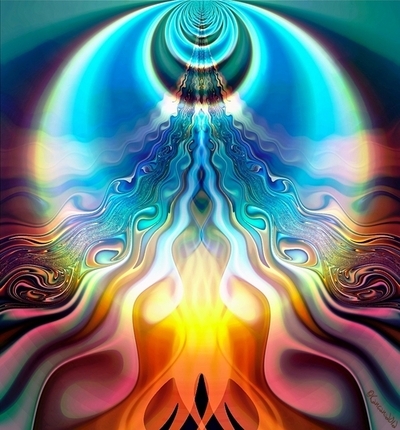 You cannot, so we ask that you always remember to meditate, you remember to be still in the moment, to allow yourself to experience the moment as is, and to check your vibration and seek the understanding of each and every moment and experience therein, and learn from it, and move forward in your ascension. WE love you; we are with you always, goodbye for now. ©2013 Anna Merkaba, All Rights Reserved http://sacredascension.blogspot.com/ You are absolutely welcome to share and distribute these forecasts with others as you feel guided. Please make sure to keep the integrity of this article by including the author & source website link. Greetings, dear ones, I am Kryon of Magnetic Service. So it is that this particular message would be the one that is published first in 2013. There would be those who would be listening now, who would say, “Well, now that the marker has been passed of 2012, what’s next?” This is the Human Being speaking who is always looking forward and never back, who doesn’t usually stop and look around, who always wants to measure energy by what’s coming instead of what was or what is. So we’re not going to go there just yet. Instead, we’re going to say to you, “I want you to stop and look at what you’ve done.” For in order to look forward, you must understand what’s behind you. What is behind you is the conquering of an old energy, above and beyond what any of the prophecies ever said you would be able to do. For those who haven’t put it together yet, my arrival in 1989 was a precursor for the potentials that we saw were in place for this very day. Had you not changed the consciousness of the planet, had you not marked your territory by the Harmonic Convergence of 1987, I would not be channelling with my partner today. He would have a different life, for I would never have presented myself to him as I did. I told him early on that if he chose not to take the mantle that I offered, there were others who would. So the point is that you created an energy that allowed me to enter and begin the teaching to humanity through a Human Being. I didn’t create anything by arriving here, dear ones. You’re the ones who decided to cook this meal. I’m simply one of the ingredients. I want you to look around figuratively at what you’ve accomplished and what you’ve gone through. You have been slogging through some of the oldest energy that existed on the planet. You have been taking light and throwing it against darker things that had no integrity, taking light and throwing it against judgment and drama, and you have been doing this for 18 years, by the way. Oh, some of you say, “I’ve been doing it longer than that, Kryon!” Indeed, but the last 18 years were the ones foretold as part of the Galactic Alignment. This alignment is more than an alignment in the sky, dear ones. When your sun aligns fully with the earth and the center of the galaxy, you’re looking at creation. This alignment is a marker that is energetic, not just something that the astronomers knew as the precession of the equinoxes, or that the Mayans told you about through their calendars, or that fractal time computations gave you. This is a time known by the Universe and what you’ve done around it. Now all begins to change, and the first thing that happens is what we’re going to call release. You have to understand that Spirit moves slowly, and especially within the time frame of how fast consciousness is able to change on the planet – that’s you. So there’s no clock or timeline that Spirit has given you, except a framework of the next 18 years while your planet continues to precede through what is called the Dark Rift, which is the Milky Way. Within those 18 years, there’s a profundity of potential that you will be able to “plant the seeds of new consciousness” that will indeed grow quickly in future times. Release: If you’re a bodybuilder and you have held a weight in your hand for a long, long time, when you put it back in the holder, the muscles will need time to return to normal. There’s stress in holding up the weight, and there is a corporeal balance that is changed with the stress. Body chemistry within the muscles changes to allow the holding of the weight. So there’s a release process that takes place when the weight is put away. Now, this release metaphor is saying, “Take a short vacation from battling the old energy. Because the old energy is also going to start to change since it is also part of the release.” The old energy also has been holding something; it has been holding back the light [you]. So both of you suddenly are in release mode. But the wise Human will always wait a moment while things recover and watch where things settle. The unwise Human will continue to push in the old fashion, no matter what. It’s important that you release for a moment and take a look at a changing paradigm. Darkness and light are measures, not entities. They represent the way Humans think and the waves of consciousness that influence others and create paradigms on earth. So when we say, “the darkness wants this or that,” we are describing groups of Humans who have no light. This is the opposite of Lightworkers, who are groups of Humans who have awakened to a realization that God is inside. This realization, by the way, is available for all humanity, since God is inside of every soul on the planet. But for a very long time, there simply has been no Human understanding that there is an actual personal choice of being anything but what they are told they are. So the battle has always been between consciousness and how much light could be given to those who might see it or wish to see it. But as you know, most of humanity has wallowed in a very dim light that hasn’t changed much for centuries – until now. This is not about goodness or evil. This is about a confluence or natural consensus of how Humans think about themselves and what is appropriate behavior for humanity. Some may even call it Human nature. Well, this old energy thinking wants to remain and remain. It won’t believe there has been a change, but it will flail in unbalance for a little while, as it starts to realize it isn’t as powerful anymore. This is going to be uncomfortable for you. Some of you are saying, “Well, 2013 ought to bring a release, a breath of fresh air. Ah, we made it! We did it!” Well, I’ll tell you, like a child that didn’t get its way, the old ways of the dark will invade every cranny of life it can. It will battle for its life and its survival, and it will feel the fact that things are not the same. So in this release period, I want you to take a step back. When you see these things rear their ugly heads, don’t make a decision that 2013 is not what you thought. When you see more unbalance on the planet, even some things that you didn’t expect – and indeed, they will be there – don’t throw up your hands and say, “Here it is again. We didn’t make a difference.” Because you did. These kinds of things work slowly. Energy is shifting and we have given you this information before. The very balance of the protocol of the battle is realigning itself. That’s what this time is about. If you ask those in other solar systems who have gone through this before, it was the beginning, literally, of their written history. They don’t even look at anything before it. Everything begins now. So as we’ve said before, if you look in the future of humanity, they will point to this day and mark it as the beginning of modern Human history. They will look at everything before it and say, “Those were the days of barbarianism. Those were the days of modern mythology. Those were the days we didn’t know better, and now we see the face of God in ourselves.” That is what you’re stepping into. But it’s tough, and it’s slow. While you were battling the old energy, you weren’t plowing the fields getting ready for the seeds. Instead, you were surviving. Now it is time to prepare the fields for planting, and in the process of release, you turn inward. Preparing the fields is a metaphor for discovering the Higher-Self, the quantumness in you, and moving to a place, personally, where things start to make more sense in your everyday life. There are those in this room and reading right now who I’m hearing from: “Help me, help me.” You don’t think I know who’s here? So I’m going to say to you: You know who you are, dear ones, and I want you to relax for a moment. You are loved beyond what you think you’re loved. You are known by God beyond what you think you’re known by God, and this you are feeling now is temporary. Ok? This is temporary. If you’re pleading for help, you’re in unbalance. It’s time to relax in God and know you’re loved. There is time. You will survive. You’re going to make it. There is wisdom in the plan of the seeding metaphor. First, you plow the fields; then you add the fertilizer and nutrients. Finally, you get ready for the seed planting. The fields aren’t ready now, so you must pause and get them ready. So all this talk is a farming metaphor. This may not all make sense to you, but what it says is that the demarcation point from old to new is now, and only now may you begin what you came for. You have not planted the seeds yet. The fields must be prepared. In the process of this preparation, you will find that the dark energy is easier to battle, allowing you to do the planting. New scenarios will pop up to show you that this is true. You won’t believe that you got through some of the challenges so easily. Because now the energy supports you and it didn’t a year ago. The year 2013 really is a demarcation of intent and affects manifestation. You start to prepare the fields for new energy and begin to plant the seeds using that which the old soul has: the wisdom of the past. These seeds of wisdom are planted into the economy, into the government, into the household and families. These are seeds of integrity and will speak of the wisdom of coming together instead of tearing apart. Human attributes then start to change, and especially Human nature, but it’s slow. Imagine an amateur farmer. He has no idea what he is doing, but he has a pack of seeds. So he reads the instructions, gets the fields ready, and shoves those seeds in the ground. He is so excited! He then runs home, but he can hardly sleep. The night goes by, the sun comes out, and he runs out into the fields at dawn to see what’s happening. And – there is nothing there! What did he do wrong? There is no crop! “Nothing is happening,” the farmer says. Did he actually plant anything? It’s laughable, of course, because every farmer knows that crops grow slowly. In fact, they grow so slowly, you can’t see them growing! You stoop down, looking at the plant, and you can even yell at it, “Grow!”, yet nothing happens. Then a week later, you realize the plant is actually bigger; a week more and it’s bigger still. Within a certain amount of time, it ripens and creates the crop that you planted. So now I will tell you, Lightworker, that the only way the crops will grow is from using the light you came here with. That’s it. You’re the ones who have to take up the gauntlet, put on the mantle of the responsibility you came in for, and move forward to make certain the crops grow. I just want to tell you that what you’ve been through so far is the hardest part. What you’re about to go through will be easier as time goes on. But it’s still going to take a longer time than you like. So what you’re going to see, very slowly, is the emergence of a new Human energy. It will take many forms, but you’re going to see new things. Let’s just examine one. In recent past channels, we told you some of the new inventions to look forward to in this new era. But now we speak of new ideas and new paradigms of thinking. After these things happen, and when you look at them in retrospect, you’re going to say, “Why didn’t we think of that before?” The reason is because you weren’t ready for it. So that brings up a process that is difficult for us to explain to you, because Humans do not want to hear this. Human Beings believe that their brains are capable of any thought that is thinkable in the Universe and that the sky is the limit. They believe that at any given time, any intellectual can come up with whatever is needed, which is the next step in evolved thinking. Yet history doesn’t show that, does it? In the past messages we pointed this out, and we gave you something to think about. We brought up the fact that it should have been obvious to you how to fly and, of course, now it is. As we speak, thousands of Human Beings are in the air, flying from one place to another with principles that the birds showed you thousands of years ago. Yet it’s new to humanity, having only been developed recently. Now, how long have you been looking at birds and longed to fly? How long have certain cultures been flying kites? Yet you never figured it out! How’s that for being a Human Being with unlimited thought? You never figured it out! Finally, about 100 years ago, two bicycle makers finally did it. I ask you, does it look like something happened here that is just a little out of the ordinary? Did you know (and I’ll say it again) that those bicycle makers only beat the record of first Human flight by a week or so? Others on the earth were also working on it simultaneously. Did you know that? Here’s why – because Spirit implants ideas and inventions when you’re ready, and not before. These seemingly obvious ideas are invisible and blind and unattainable to the Human Being because they can’t think of it. You’re seeing this attribute everywhere with humanity, whether you know it or not. How many years did you feel you had to build a fortress around your city-states and block out other Human Beings in other cities? Humans built walls and had regular battles so that the other guy wouldn’t get your possessions. So how long did it take you to figure out that maybe you could share your resources, or perhaps even trade with the other one so that you’d both have each other’s resources, and everybody wins in the process? What a concept! Well, really, you only just did it. Putting things together instead of tearing them apart has only occurred to you in the last 75 years. Why didn’t that occur to you 1,000 years ago? Instead, you continued to sequester your borders and build armies to keep you safe. Now, suddenly there is the idea of “country groups” that share common resources, trade without tariffs, and have a common defense in consciousness. Have you noticed this? Well, get ready for more, since there will be entire continents who will do this in the future. But why did it take so long? Until very, very recently, you were conquerors. That’s all you did, since that’s all that occurred to you. Armies wiped out other Human Beings so that where they stood, they now owned the land and the resources. That was the thinking of the day. Now you say, “Well, we’re beyond that.” Not much. Not really, but you will be. New ideas are things you never thought of. These ideas will be given to you so you will have answers to the most profound questions that your societies have had since you were born. Inventions will bring clean water to every Human on the planet, cheaply and everywhere. Inventions will give you power, cheaply and everywhere. These ideas will wipe out all of the reasons you now have for pollution, and when you look back on it, you’ll go, “This solution was always there. Why didn’t we think of that? Why didn’t we do this sooner?” Because it wasn’t time and you were not ready. You hadn’t planted the seeds and you were still battling the old energy, deciding whether you were going to terminate yourselves before 2012. Now you didn’t…. and now you didn’t. It’s funny, what you ponder about, and what your sociologists consider the “great current problems of mankind”, for your new ideas will simply eliminate the very concepts of the questions just as they did in the past. Do you remember? Two hundred years ago, the predictions of sociologists said that you would run out of food, since there wasn’t enough land to sustain a greater population. Then you discovered crop rotation and fertilizer. Suddenly, each plot of land could produce many times what it could before. Do you remember the predictions that you would run out of wood to heat your homes? Probably not. That was before electricity. It goes on and on. So today’s puzzles are just as quaint, as you will see. (1)How do you strengthen the power grids of your great nations so that they are not vulnerable to failure or don’t require massive infrastructure improvement expenditures? Because cold is coming, and you are going to need more power. (2) What can you do about pollution? (3) What about world overpopulation? Some experts will tell you that a pandemic will be the answer; nature [Gaia] will kill off about one-third of the earth’s population. The best minds of the century ponder these puzzles and tell you that you are headed for real problems. You have heard these things all your life. Let me ask you this. (1) What if you could eliminate the power grid altogether? You can and will. (2) What if pollution-creating sources simply go away, due to new ideas and invention, and the environment starts to self-correct? (3) Overpopulation? You assume that humanity will continue to have children at an exponential rate since they are stupid and can’t help themselves. This, dear ones, is a consciousness and education issue, and that is going to change. Imagine a zero growth attribute of many countries – something that will be common. Did you notice that some of your children today are actually starting to ponder if they should have any children at all? What a concept! There is a new dawn, but that’s all it is. The sun sneaks over the horizon as if to say, “We’re back.” But you’re not going to get a clear sky for a little while, Lightworker, because in the release process you’re going to have to deal with the separations that will occur. These will be the objections to the ones who don’t want to go into the light and who want to keep what they have because it works for them. They feel it’s the right way, because it has worked for them in the past and because it is their living [survival]. They will not understand that things are changing dramatically. In what you call the New Age community, all of the processes from the one you see here [channelling] to the ones that the healer uses are all recalibrating. Some of the axioms you learned on “how to do things correctly” won’t work anymore. There’s going to be a more centralized focus into the one-soul authority. That is to say, there will be less focus on groups and more on individual discernment. Call it a dissemination or dissolution of organization-based wisdom and an emphasis on individual-based wisdom. Dear one, how do I give you concepts that you don’t know about yet? Today’s common sense is tomorrow’s foolishness if new information is available that antiquates them. Do you understand? What if, just what if, the individual’s wisdom factor, based on all of his own past lives, created a set of parameters within him that were common to all? What if, just what if, there is a sacred pattern available that is common but only accessible individually? Then the individual discovers the sacred answers from the other side of the veil instead of a committee of Humans in a meeting. Ponder these things before you say that what you have as “common sense” is actually something that is forever. All of these kinds of things will be new, and it’s going to be like sticking a finger in the eye of many who have spent a lifetime thinking that they knew it all, only to find there are those who are moving beyond them, doing things they never thought were possible. So, expect a split of those who just will not come along with these new things, and many of them will be old souls. Everything we are discussing in this message falls right into the arena of interest of the old soul who is reading this. There are old souls by the thousands who are reading this in the future. I will tell you right now that I know you are. You’re not just the new hope of the planet, you always have been the hope of the planet. There’s nothing new except that, finally, it’s going to get easier. But for a while, you must understand the process of the shift and that change is not always seen as a good thing. So tiptoe lightly into this new energy instead of blasting forth with new truth. You’re moving into the light in more ways than you ever have before and even your “truth” may change. Let me summarize. We need you. You’re not done, and nobody’s leaving. There’s going to be more channels, there’s going to be more helpful entities coming in. Powerful information will be coming from sources you didn’t think even had it. You’ll be able to discern whether it’s real or not, and that will be easy. You can tell by the energy of the delivery and by what is stated. All you’ll have to hear is a little bit of information and you’ll know whether the channel is pretending. That means that that part of you that is called sacred discernment is going to increase. You’ll have better intuitive powers, because they’re not throwing themselves against darkness any more. All this is going to happen slowly. But know this: We need you, and we need you to get excited about what’s ahead. You’ve just come out of a dark era of more than 30,000 years. I’m telling you yet again, dear one, that there’ll come a day, perhaps as soon as the next precession, when Human history won’t even count the years before 2012 as viable social study. That is what you’re looking at right now – the beginning of a new era. I think the irony of this message is this: The Human Being who sits in front of me says they’re tired. They’ve been battling a long time, and they will continue to as we recalibrate. When they will pass over the veil, as they always do, they will come back as children (of course), but their DNA will be different than any time before. As old souls, they’re never going to have to go through what they went through before, because the old energy won’t be the same. 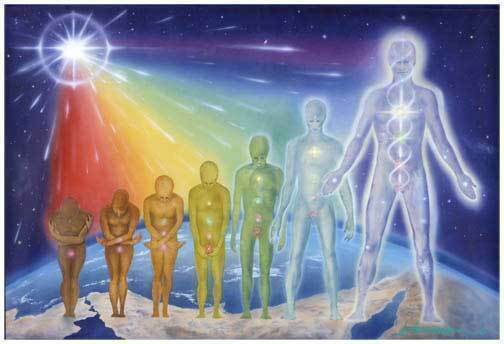 They will awaken with full knowledge of who they are [new Akashic inheritance attributes]. As children, they will know and see the colors [interdimensional sight]. As children, they will have an identity of being an old soul [know they have lived before]. They’ll know what they’re here for by the time they’re 13 [have a good concept of life lessons]. But, that’s you! I’ve just described you – all of you! Old soul, this is one of the biggest shifts you’re ever going to see and it may take a generation, but it’s going to happen. And those who hear these words then and read these words then will know I’m right, and they will reawaken on Earth with an entirely new paradigm of consciousness reality. Educators all over the world will recalibrate their teachings because the kids are different. Yet again, these things are not what you think. It’s not just a new time, but rather it’s a new Human. The only thing we can say is we told you it would happen. I came in all those years ago  and I said you’re not going to terminate yourselves as your prophecy had told you; it’s simply not going to happen. I told you there were far better potentials. I told you to watch it happen. Watch it! But there were those who were old souls who said, “No.” They said that Kryon was the evil of the century because I brought you information that flew in the face of everything they expected. Here you sit in 2013 and could shout that, “I was right.” But instead I’m going to shout, “You were right.” For you created this shift. You brought me here. You took us through the shift, dear one! Greetings, greetings, greetings Oh my dear, dear human angels greetings, it is I Kryon of the magnetic service and I come to you this night to tell you that yes those messages that have come to you from various forms and manners telling you of great changes, warning you of that which is all the potentials that are to come within that which is a short space of time of expression are all very true and grounded. And Yet I would bring to you above this, the reminder that in all things there is the love. There is the self-awareness of that which is the very essence of your love, the love that comes from the central most part of this universe, this omniverse, this magnetic gathering that we call home. So we have come and I have come this night to remind you to re-remember home. For you have come to a place within your own understanding, your own frequency your own expansion that it is time to begin to re-remember home. What it is like to be surrounded in the complete and utter total ambience of love, of bliss, of that which comes from the fathers heart. From that which comes, from that which you know on this planet as the love of God. You will understand that when you stand in that very centre point of being encompassed. That in all things all other matters fall away and yet remains the truth of your service of that which is the reason, my dear beautiful earth human angels of why you came back into this moment of experience. Why you came back into this time to experience the cyclic memory, this cyclic experience of rebirth, of renewal of that which is releasing from the old magnetics, and moving into new magnetics, into new service. Understand that you are going through many, many changes at this moment many frequential systematic changes. The paradigm shifts of your lives are beginning to break down and rebuild themselves in a completely new way, and I Kryon have come this night my friends to allow you to feel the very depth of the love that is coming towards you, in that which is the frequency and the vibration that comes from the very heart of love itself. For we are here my dear ones of complete and utter service, to remind you to remember what it is that you have come into this moment to do and that is to bring balance, that is to bring completeness, that is to bring the understanding of that which is the moving from one level into another. This has not been done before and yet we remind you of the conversations, we remind you of the planning, we remind you of the gatherings that we came and we partook of together. And as you agreed again and again and again, yes this is the time that we will come and we will hold the space. We will umbrella the energy so that those that come under and around us will be, in a manner of speaking, protected. But we will not protect them from everything; but we will gain them space, we will gain them time, to gather their own ways of being, to gather their own ways of understanding that they may integrate, that they may begin their own understanding journey. So it is that we come within this banner of love, within this umbrella of connection and we say it is time to extend the arms of the umbrella, to come from a central place of balance and realise that you, dear earth angel, have undergone the frequency changes the vibrational shifts of release; whether willingly or unwillingly, whether knowingly or unknowingly, because of the agreements that you have given and stood by. Science cannot keep up The magnetic changes that are occurring with in this realm are far exceeding what your scientists had ever perceived could possibly happen. The changes within the planetary systems have far exceeded the mental or computer graphical understandings of this time. Every time they plug in a new dimension or a new way of mathematical understanding and the computers spew out the answers, the universe shifts again. Bringing in more magnetic and non-magnetic alignment, more repulsion and more attraction and they, your scientists, do not understand. For they no sooner believe they have the God particle under control when it begins to break down and re-invent itself. Where again there are black holes appearing around your universe and omniverse and they say, ‘But where did it come from? Why has it come into this being, because our mathematical equations, our workings out, our scientific understanding does not create the space for this.’ And we say of course not for you are human and we see things from a completely different perspective. Feel your own electromagnetic changes So we are saying to you dear ones, that are in this sound of my voice this night, that you would hear not just with the ear but you would begin to feel into the heart space of your own electromagnetic changes, as you begin to feel the polarities of your own being, begin to undergo change. As you begin to send out within your own human frequency the changes that align with that which is occurring upon this planetary shift. The Mayan Calendar and the new beginning Because understand that yes our friends the Mayans created for you a calendar that ends on 21 December 2012, but what they did not reveal or leave for you in so much of the same understandings of pictorial calendar ways, but they left you with a historic story within their own people that is now becoming to be heard if you will listen. Yes the hard evidence that you have found engrafted in the stones and the clay tablets, tell you of the great ending that is coming and yes they are right. The great ending is coming and yes we have said before and others have spoken to you in like manner, that there is no end there is no doomsday. Yet there is an end to the way that you know. There is an end to the lives and the lifestyles and the ways of the human being that comes to pass on the 21 of this December. Only to break forward, only to come into a new way of being, a new energy a new understanding, a new magnetic shift, where everything that you thought you understood no longer is there. Instead you will be coming and creating again afresh, anew. A new Magnetic shift of undefined pure love Dear ones it is the Magnetic service that has been holding you in this place holding your planet holding everything all the grids into place, it is still going to do so. Yet we are making room for a new magnetic connection new understanding new way of connection, it is the magnetic connection of undefiled, unquantified, the purest of all purest forms of love. What you term in your English language the unconditional love is by comparison tainted and putrid to what is coming through. For the love that will wash over this globe called planet earth will completely undo and remake your concept of love. There will come a peace there will come a time of each human of peace. Those that gather around tables to discuss political agendas no longer will have so much of the warfare, but they will be seeking a peaceful solution. Because timing dear hearts, timing my beautiful BEAUTIFUL ANGELS, my beloved angels that walk amongst these times, they are seeking solutions that you have brought into being. Allow yourselves to connect to that which is the purest form of all things that have occurred upon this planetary gridline. The love that comes from the source of all things that is poured out into this planetary system is bringing that which is the purest form of true connection, of true empowerment, where you will be able to stand within the frequency of knowing that you are in vibrational change. ‘Matrixal’ Changes that bring beginning and end You will begin to see the changes with and around you and in your planet, where you will see matrixal changes. You will look at the plant life, you will look at the human life and you will see change. You will see formations in two ways you. You will see a formation that brings the life. You will see the changes that imbue the life and the ongoing and you will also see the matrix that eats itself up, that is its own death. I use this terminology to show you that there is going to become an end to what has been and there is a beginning that which is to come that which is already here. 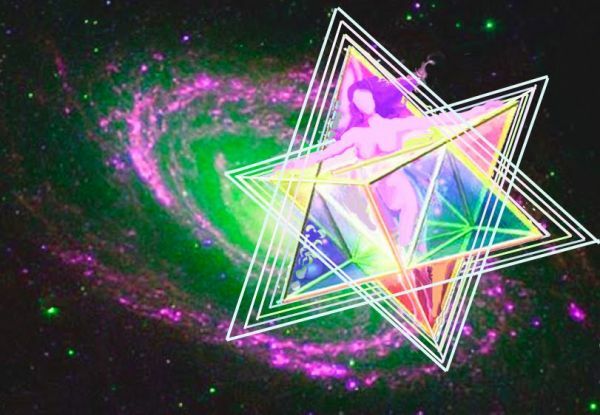 The cusp we are at Within this magnetic shift, within this planetary time there are many openings: the Galactic as you call them, the Angelics, the Cosmic. They are all connecting at this time within the very frequential understanding of the paradigm of truth, honour, integrity and love. There is no other way. For when you stand within the vibration of all things that come into your vibration and allow it to be as such, this truth, you will find that love surpasses and overcomes and brings new and wipes away all things that could possibly stand against you. For you are in the crux, you are at the cusp, you are at, if one wants to use the human terminology the darkest hour of the night. I only say this because dawn is breaking. Understand it is not dark because there is fear, it is not dark because there is death, there is not dark because there is an ending, it is dark because it is about to birth the newness that is the very vibration of love. The very understanding of the magnetic changes of love, for understand as I have travelled through millennia to come into the being and the understanding that you may hear the words we speak of the magnetic service. It is been to bring alignment into the grid lines, the magnetic gridlines of your planet of your cosmic world, to align your personal human gridlines to that which is this planetary system. And all this is being done to enable you to re remember who you are. It is been done to bring the spark of life back to your dreams. IT IS TIME TO WAKEN DEAR ONES it is time to waken. And yes you will say but Kryon I am awake and I will say yes you are awake but you are sleep walking, only because of the vibrational shift that is occurring at this moment that is causing many to feel the vibrational flux and tearing that allows them to wonder to perceive what truly is occurring. You are awake, you are perceiving, you are understanding the changes and yet you are still asleep as to what is to come because your time to waken to what is to come, is yet to be fully expressed yet to be fully opened, and so the urgings of that which has been coming through and will continue to come through is to waken, is to stand within that which is the fullest expansion and know from the very heart of that which is within you, that you are the vibration of love. That you are the frequency of love; you are the angelic connection of love. And you may say, ‘ but Kryon not all of us are of the angel lineage’. I agree, many are not, but you are all human angels. For you do not see yourself as I see you. You do not see yourself as the truest form of love sees you. We see the tearing’s within each one of you as you shed another layer. We see the frustrations of the mental understanding as you work through yet another shift, another understanding. We see what you put yourselves through and we say STOP! You do not need to put yourself through anything. My dear human angels it is time to re-remember who you are. There is no mystery any longer wrapped around the continuum of who you are. You are the most beautiful of energies, and you are the most strongest of energies, and you are the most creative of beings. Each one who hears the sound of my voice, who hears the resonation of the vocalisation and the energetic connection, understand that you hear the unlocking to your next opening. Birthing is now Understand you are in the birthing. You are in the birth canal; there is no time to go back. Contractions are pushing you forward and you are the contractions, you are the birth. Dear ones you are the light that is coming into a darkened place that is already enlightened, you are bringing more light. You are bringing understanding and you are bringing that which is connection. The frequency that is of this time, the frequency that is coming in at this level is not for the faint hearted. It is not for those who think that tomorrow is yet another day. For may we say, as one who walks with many of the Angelics who has the ear of God, may we say that this is the time of birthing, and there is no tomorrow there is only now. Each one of you have walked the journey that I relay in my story of Coming Home. You have been and you have visited the different coloured houses. You have integrated the parts of the armour; the sword of truth, the shield of faith, the helmet that you place to prevent infiltration of the mental realm, the breastplate of righteousness, the breastplate that you place upon yourself to keep your heart pure. Allow yourselves to begin to fully integrate these parts, to walk in this manner that you are in, in truth. You call upon the angels you say ‘WHERE ARE YOU WHY HAVE YOU NOT HEARD ME’. We say we hear you. Do you hear us? Do you hear when we say peace, love, balance, breathe, connect, love, BE. My dear earth angels your energies are beautiful, your frequency and the vibration that you are emanating, is the most beautiful that we have seen, that I have seen for many many many years. You are birthing yourselves into the most beautiful love connection. This next move that is coming, this next… (Kryon stoped as if listening to another energy)… yes we should not say the next 26,000 years but this next cyclic birthing that is bringing in a new way of living, a new way of being. This is your life; this is the magnetics of the service that we have prepared for you of those that are in magnetic service. We have been preparing. We have been waiting for this birthing for 26 thousand years to see if you will pass through and join us. Beautiful ones, most loved ones. Can you not hear the heart god can you not hear and feel the love of God as he is calling you into the next part of your journey. Do not resist do not resist yourselves for are you not part of him are you not part of her? It is time dear hearts, dear beautiful angels, to wake up to become aligned with that which is the energy of the planets that are coming into your alignment. There are more planets in this alignment than you perceive. Yes there are your cosmic family bodies, the Moon, Mars, Pluto, Saturn, Uranus etc etc. and all their moons and all their stars yet there are others in this heavenly body connection that are moving in to take their place in this dance. Many planets that have shall we say passed over, because their vibration would have disturbed the vibrational growth and shift that was needed at this moment to be in the planetary system of now are reintegrating their energy into solidity that they may assist this shift. Why do you not understand the black holes, the gaps that are being picked up, the photon washes that are coming in and out of your system? They are not freak occurrences; they are planned and purposeful, because they are the keys alongside you for what is about to occur. It is beautiful it is in this time and though many will say if there is a divine plan, if it is predestined, where is my will, where is my choice, where is that which I choose to do. Yes it is the divine plan yes it is the divine way of being. No it is not going against your free choice. What it is that you choose to be, the only difference is do you choose to remain in that that eats and consumes itself, or do you choose to be a new birthing of love, of light, of being. Oh beautiful humans. The love of god is so present in this place washing each one of you, embracing your whole beings, the angels are in this place right now washing your feet, for the journey you are taking and are about to take. They are encouraging you they have laid before you a banquet and they are saying eat, it is good, it is good. Do not fret about tomorrow do not be concerned about yesterday, but be in NOW, create NOW yes plan for tomorrow but do not live for tomorrow. I am Kryon of magnetic service and I love you, go in peace, be in peace and remember who you are. <img title=”kryonlogo” src=”http://cdn.the2012scenario.com/wp-content/uploads/2012/10/kryonlogo.jpg&#8221; alt=”” width=”247″ height=”115″ />Kryon gives a history of the Earth. Long but very interesting. Thanks to John. To help the reader, this channelling has been revisited [by Lee and Kryon] to provide even clearer understanding. Often what happens live has implied energy within it, which carries a kind of communication that the printed page does not. So enjoy this enhanced message given on the Kryon Patagonia Cruise 2012. There’s going to come a time when you look at this planet and war will be exactly like these examples. The idea of killing another Human Being for any reason will seem barbaric and not appropriate for any Human to do. Many will laugh at this, since they will say, “That’s naive, Kryon. It’s Human nature, and it’s a survival instinct.” That’s what’s going to change, dear ones. You are about to experience a quantum renaissance of thinking. This is difficult to explain, but Human Beings are missing something that’s intrinsic, something that should be there and you’re not even aware of it. It’s missing, but you don’t know it since you never have had it. Let me take you forward 100 to 200 years: Let’s sit in a room together. You’re going to look different. Things will be very different, but you’ll be here because that’s what you do. [This is Kryon’s description of you in your next lifetime or beyond.] Sometimes the Human Being asks, “How many lifetimes do I have left?” [Kryon smile] You should instead be asking, “How many Earth-lifetimes do I have left?” [Kryon bigger smile]. How many times can you do this, dear ones?